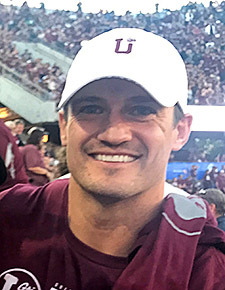 Colt Anderson played football for the Griz from 2004 to 2008 and earned his bachelor’s degree from UM in business information systems – with a secondary education teaching certificate – in 2009. A standout athlete who was cited as one of the best defensive backs in the country, Anderson totaled 129 tackles his senior year. From 2009 to 2018, he played football in the NFL for the Minnesota Vikings, Philadelphia Eagles, Indianapolis Colts and Buffalo Bills, walking away with 109 tackles and one interception during his 84-game career. Passionate about giving back, Anderson and his wife, Keelie, created the nonprofit Colt Anderson Dream Big Foundation to help Montana youth achieve their dreams through hard work, accountability and opportunities. The foundation puts on an annual “Dream Big Event” for elementary schoolchildren in the Andersons’ hometown of Butte. The event brings in sports celebrities – from NFL players to Olympian athletes – as well as other professionals who serve as role models for children, such as doctors and firefighters. Throughout the day, kids receive free activities, experiences and resources to help them work toward their dreams. The Andersons also are involved heavily with the Cystic Fibrosis March Madness event to raise funds for cystic fibrosis. Colt Anderson attends many fundraisers as a celebrity and is a member of the Grizzly Scholarship Association. He is co-owner of Uptop Clothing Co. and the popular downtown watering hole and eatery the Missoula Club. M Jackson graduated from UM with a master’s degree of science in environmental studies in 2011. In 2017, she received a doctorate in glaciology and geography from the University of Oregon. Jackson is a National Geographic Society Explorer, TED Fellow and U.S. Fulbright Ambassador. She serves as a National Geographic Expeditions Expert, is a three-time U.S. Fulbright Scholar to Turkey and Iceland, and worked as a Peace Corps volunteer in Zambia. 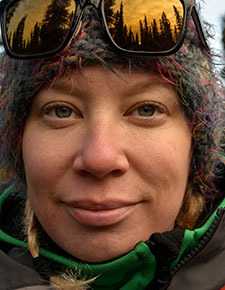 Jackson’s work documenting the effects of climate change on ice communities and glaciers in Iceland provided the research for her books “While Glaciers Slept: Being Human in a Time of Climate Change” (2015) and “The Secret Lives of Icelandic Glaciers” (2019). She now is working on “In Tangible Ice,” a collaborative project with NGS Explorers, filmmakers and scientists on glacier retreat across eight circumpolar nations. A gifted public speaker, Jackson serves as a role model for female scientists and aspiring scientists, and she gave a TED Talk on “Glaciers, Gender and Science: We Need More Stories of Ice” in 2017. She has written a variety of articles on glaciers and climate change, contributed to multimedia projects, lectured all over the world and received numerous grants, fellowships and awards. Her website describes her research as work that “weaves together science and human stories to help us better understand our changing planet.” Jackson also is teaching a popular writing course at UM this spring. Adam Moreno received a master’s degree in forest science from UM in 2011 and earned a doctorate in forest ecology and remote sensing at the University of Natural Resources and Life Sciences in Vienna, Austria, in 2016. He fought fires as a Hotshot for the U.S. Forest Service while earning his bachelor’s in computer engineering from Oregon State University. After graduation, he used his degree to simulate management impacts on forest ecosystems as a research assistant at OSU. He then joined the Peace Corps and was posted to rural Paraguay as an environmental education volunteer, where he worked with farmers and students and built the first computer lab in the local school district. At UM, Moreno used computer models to project climate change effects on American rangelands. While in Vienna, he worked with researchers from 14 different European Union countries to develop forest management strategies to combat climate change. 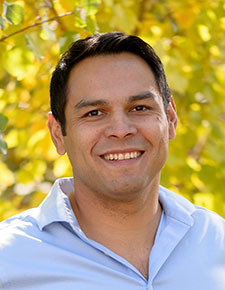 Moreno now works as a lead scientist at the State of California Air Resources Board, where he quantifies the impact climate change will have on all California lands. He also identifies policies that may help California to reach its climate goals while addressing catastrophic wildfires. He previously worked at Silicon Valley’s Ames Research Center in the NASA Earth Exchange, researching climate change, forest vulnerability and supercomputing to develop an early warning system for large-scale ecosystem disturbances. Moreno also is passionate about advancing under-represented populations in academia and earth science, especially rural communities and women. He hopes to demonstrate that rural communities provide unique insights into environmental issues and the educational foundation needed to collaborate with the greatest minds in the world to address the most challenging problems facing humanity. Gregory Smith graduated from UM with a bachelor’s in biology in 2008 and received his Doctor of Medicine in 2013 from the University of Colorado School of Medicine. 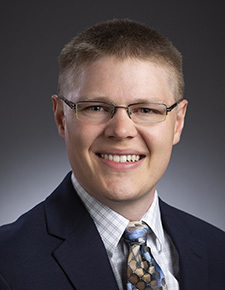 After completing his postdoc medical residency at the University of Virginia Medical Center and a fellowship at Texas Children’s Hospital, he joined Missoula Anesthesiology in 2018 and serves as an anesthesiologist at St. Patrick Hospital and Community Medical Center. He is a diplomat of the American Board of Anesthesiology, with board certifications in both anesthesiology and pediatric anesthesiology. While at UVA, Smith served as a resident educator and held workshops to help train physicians in teaching and life-saving techniques to medical students. He has presented his research at conferences all over the United States and had the unique honor of compiling newsletter highlights for the 2016 and 2017 International Anesthesia Research Society Annual Meetings. His research linking intraoperative opioid prescribing with worse postoperative pain outcomes challenges fundamentally held beliefs within his specialty and was featured on “With Good Reason Radio” broadcast throughout the U.S. and a few international stations. His research may help shed light on a component of the opioid epidemic in America and has been accepted for peer-review publication later this year.